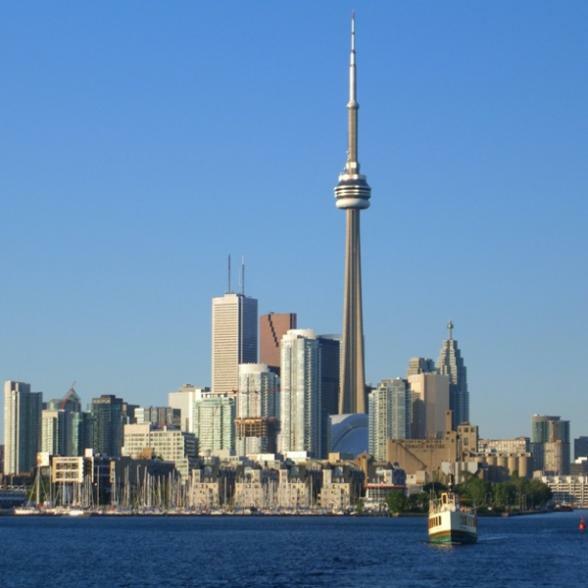 This Canadian/American Adventure tour has a fantastic itinerary. Start your trip in the bustling New York City, then you're off to marvel at the incredible Niagara Falls before crossing into Canada and onto cosmopolitan Toronto. 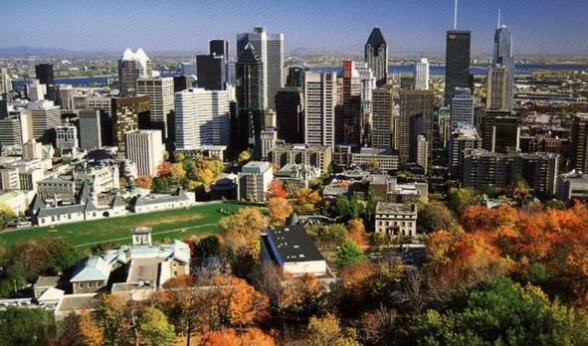 Then it's goodbye Toronto, bonjour Montreal, where you finish your tour in this historic City of Saints. Who can resist a bite of the Big Apple? 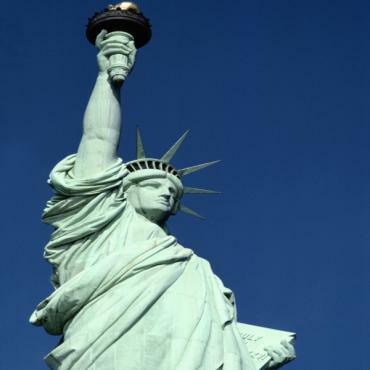 Buildings that soar, streets like canyons, Central Park, the Statue of Liberty, Brooklyn Bridge, the sweeping Hudson River. Here, shopping, eating and entertainment are on tap 24 hours a day, seven days a week. You can catch the latest Broadway musical, visit some of the world's great museums; shop till you drop, eat your way round the world from Algiers to Tokyo or coo over a cluster of Faberge eggs. New York is vibrant, safe and booming and whether you're eight or eighty it will captivate and amaze you. Get an early start today as you travel to Niagara Falls. The cities of Niagara Falls, Ontario and Niagara Falls, NY, are connected by a bridge across the Niagara River. At the falls, its sudden drop creates one of the most spectacular waterfalls on the continent. 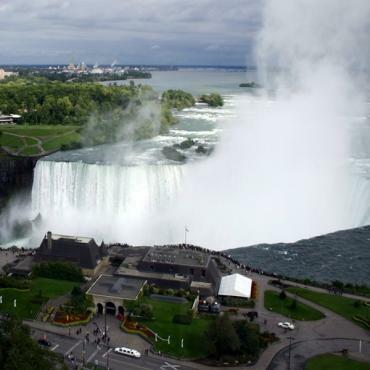 Among the shortest rivers in the world at 36 miles, Niagara also is one of the widest. The Canadian falls have a crest of more than 2,215 feet outlining a deep curve, thus the name Horseshoe falls. The river underneath is as deep as the cataract is high. During the past 12,000 years, the approximate age of the falls, the crest has moved 7 miles upstream. While in the area, you may want to visit Niagara on the Lake, a beautifully preserved 19th century village. 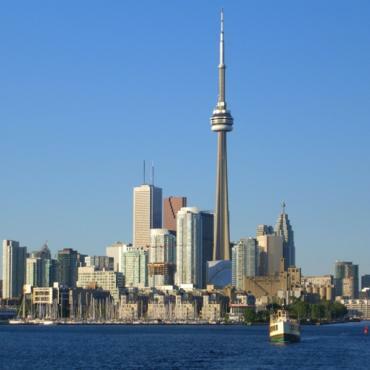 Make your way from Niagara Falls to Toronto. Board your train mid morning to historic Montreal. 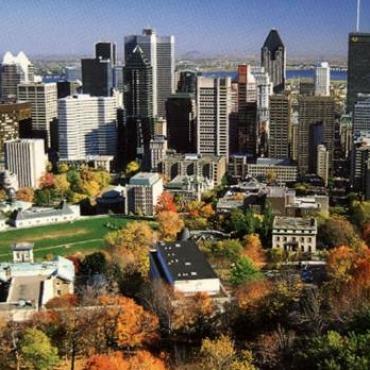 Founded over 350 years ago by French settlers and now the second largest French speaking city in the world, Montreal is renowned for its vibrant nightlife, fashionable cafe society and its joie de vivre. 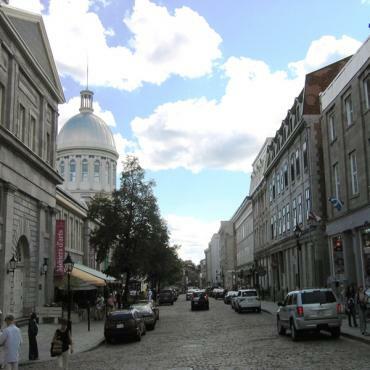 It's a modern city, but you can feel the history of New France in the narrow cobbled streets of Rue Saint Paul, the Place Jacques Cartier and the Centre D'Histoire de Montreal in Old Montreal. 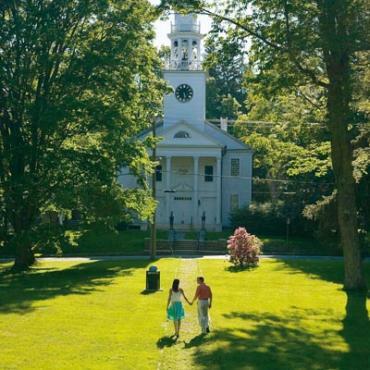 Today you depart Montreal and head home, or perhaps you may want to explore more of New England? 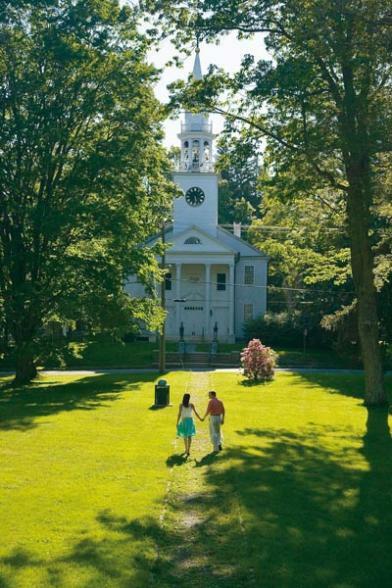 Head to historic Boston and spend a few days in the city and The Freedom Trail. Call the travel experts at Bon Voyage to discuss your Maple Leaf adventure.